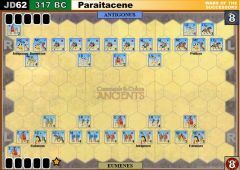 Following the stalemate at Paraitacene both sides went into winter quarters. 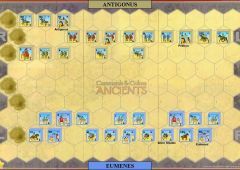 Antigonus broke camp early and marched quickly to catch Eumenes by surprise. 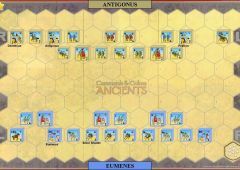 Eumenes gathered what forces he could and took up position opposite Antigonus. 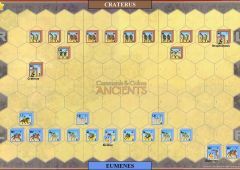 Antigonus had more infantry and cavalry while Eumenes had more elephants and of course his elite Silver Shields. 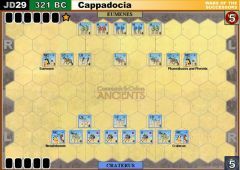 The battle started with a confused melee of skirmishers and elephants. 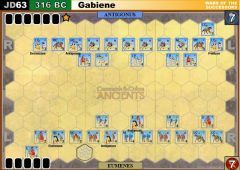 In the confusion Antigonus launched a cavalry attack with his right wing which defeated Eumenes left wing with some cavalry going on to capture Eumenes camp and baggage. 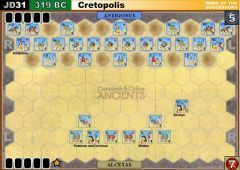 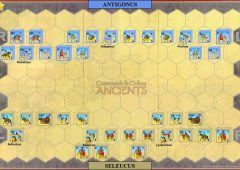 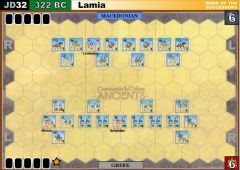 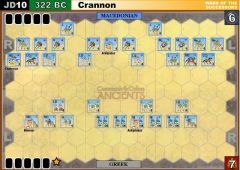 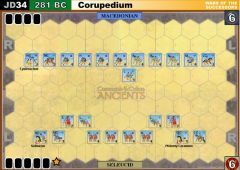 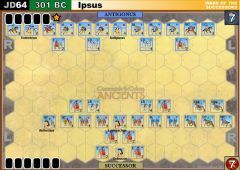 Eumenes infantry centre was being successful, but finding themselves outflanked by the cavalry of Antigonus they withdrew from the battlefield giving Antigonus victory. 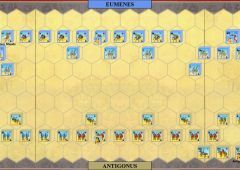 After the battle Antigonus negotiated with the Silver Shields to hand over Eumenes in return for their baggage, and then had him executed along with Antigenes and Eudamus. 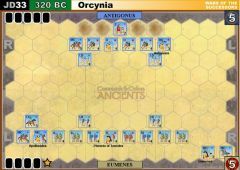 The Eumenes heavy infantry unit in hex B6 (Silver Shields) has 5 blocks and may ignore 1 crossed sword and 1 retreat banner. 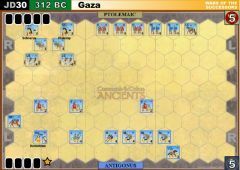 If an Antigonid unit ends its turn on the camp tile that side gains 1 victory banner and the camp is removed. 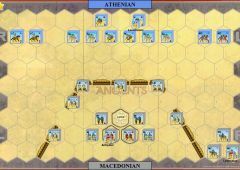 The camp tile has no effect on gameplay but does block line of site.